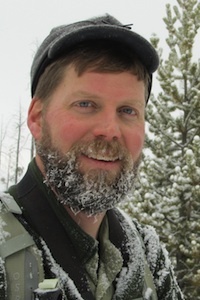 Mike spends as much time outdoors as he canwhether it's cross-country skiing, hiking and backpacking in Yellowstone National Park and around Bozeman, Montana or just quietly watching the natural world unfold wherever he might be. He tries to come as close as possible to capturing the essence of the landscapes and subjects he sees without interfering with either. The photographs on this site represent more than 15 years of his work, and he hopes you enjoy viewing them as much as he enjoyed making them. He was a cross-country ski patroller with The National Ski Patrol for five seasons and has backpacked extensively in Yellowstone. Mike lives in Bozeman, Montana with his wife, Emily, and their daughter.